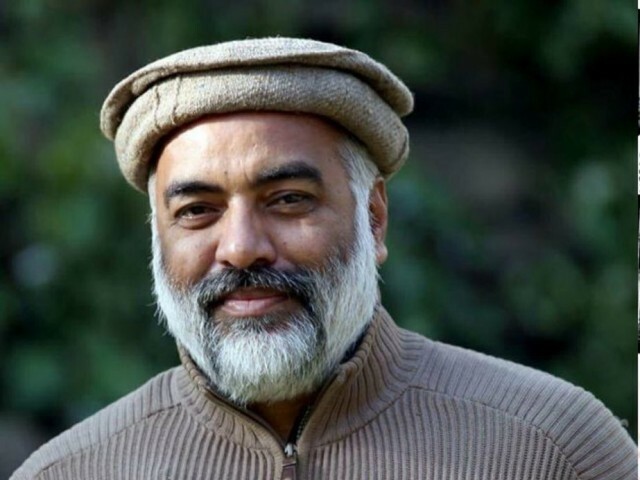 KARACHI: A journalist and member of Karachi Press Club (KCP), Nasrullah Khan Chaudhry, who was whisked away by plainclothesmen from his residence on Friday, was produced before the administrative judge of anti-terrorism courts (ATC) by the Counter Terrorism Department (CTD) on Monday. The court gave a two-day physical custody of Chaudhry to CTD and directed the officials to present him before the court on November 14 along with a progress report. The investigation officer (IO) had requested for a two-week remamd. Justice Naimtullah Phulpoto asked the IO about the allegations against the journalist that warranted an arrest. He also asked why the remand was needed. The IO replied that a case pertaining to recovery of proscribed literature had been registered against the journalist. The counsel for the accused, Usman Farooq, said, “A journalist’s work is to collect news and meet with people”. He said that it was a joke that a journalist was being accused for keeping notes and meeting with people. The counsel further said that the IO was lying to the court. Farooq said that his client was whisked away from his home four days back and the local and international forums had raised voice against the illegal custody, which he added, was on record. Advocate Haider Imam Rizvi, representing the lawyers’ community, told the court that the case was registered in ATC after the journalists protested outside the Governor’s House. He added that lawyers also joined journalists in their protest against the attack on KPC a day earlier. He said, “Chaudhry is an honest and true journalist for which we give our testimony”. Rizvi said that such events were disgracing the country at the international level. He regretted the arrest of the senior journalist and said, “Journalism in Pakistan is in danger after the attack on KPC and the arrest of journalists”. Earlier, Ghulam Fatima, Chaudhry’s wife, also approached the Sindh High Court against the disappearance of her husband. The petitioner stated that Chaudhry was taken away on November 10 from his house in Soldier Bazaar. ”Some plainclothesmen entered the house and took Chaudhry away with them,” she said. She added that she should be informed as per law if there was any allegation or evidence against her husband. Fatima said it was illegal to keep anyone in custody for more than 24 hours adding that there was no criminal record of her husband. She said she was concerned that her husband would be framed in fake cases. She also said that law enforcement agencies were not providing any information regarding her husband’s whereabouts. Published in The Express Tribune, November 13th, 2018.